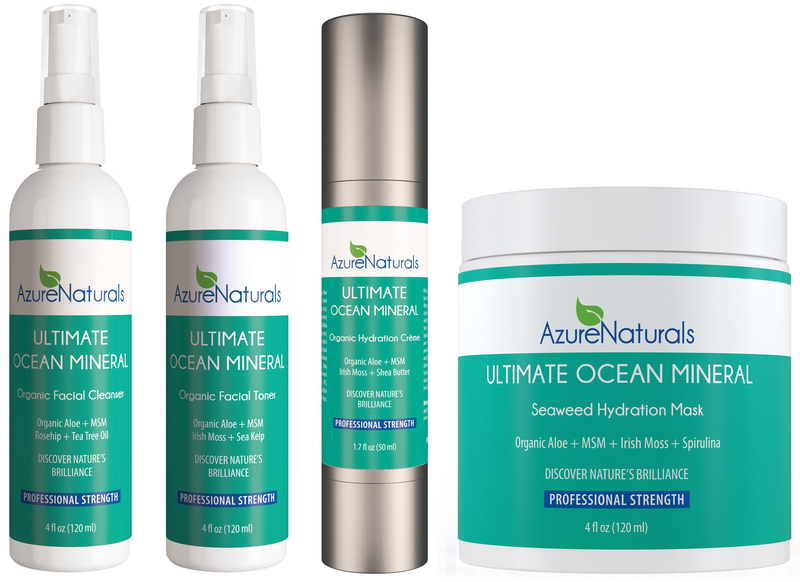 MY REVIEW: AzureNaturals Ultimate Ocean Mineral Skincare Set Giveaway- WINNER SONYA ANDREANOFF!!!! 90 powerful Oceanic Minerals, micro minerals, vitamins and vital nutrients help repair, rejuvenate and deeply nourish your skin, giving it a healthier, more youthful glow. This wonderful line of Ocean Mineral products is specially formulated to work together to improve the effectiveness of one another. For that reason, we would like you to use them all. Ultimate Ocean Mineral Moisturizer,Mask and Toner with over 90 powerful oceanic minerals, micro minerals, anti-aging vitamins and vital nutrients help repair, rejuvenate and deeply nourish your skin, giving it a healthier, more youthful glow. This powerful moisturizer is a proud part of our line of restorative and healing ocean mineral skin care products. Ultimate Ocean Mineral Cleanser offers superior, high-end spa quality oceanic minerals and micro minerals for deep cleaning, leaving your skin with a clean, healthy, youthful glow. This cleanser is a proud part of our line of restorative and healing ocean mineral skin care products. Loving the fresh scent. Also my face feels really clean after the use of the cleanser and toner. My fave is the mask. I felt it was very detoxing and hydrating. My husband loved the set so much he took over using it. Since I am a tester he knows I am testing another line. It is a no fuss line. Simple steps and you too will love the line. They have a great website with beautiful serums and oils. Below is the widget and links.